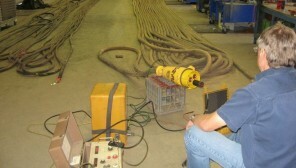 Mining Trailing Cables to suit 1000 Volt and 415 Volt Equipment. Various cable sizes and lengths are available. All cables are fully tested in compliance with AS 1747 and full service records and cable history is maintained.